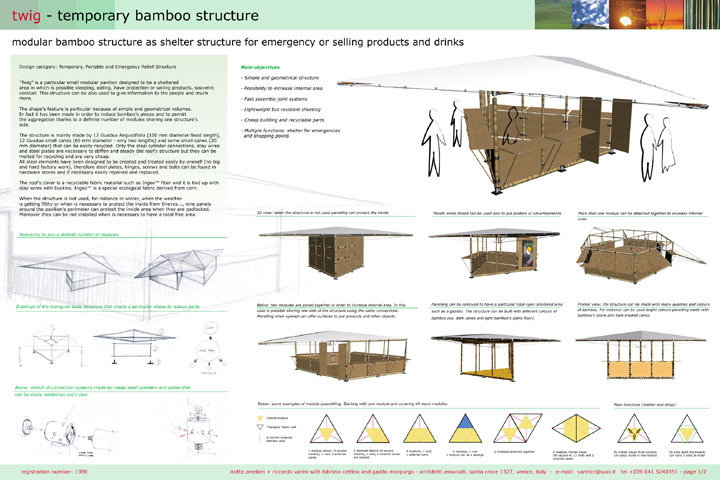 This structure can serve as either an emergency shelter or a portable sales kiosk. 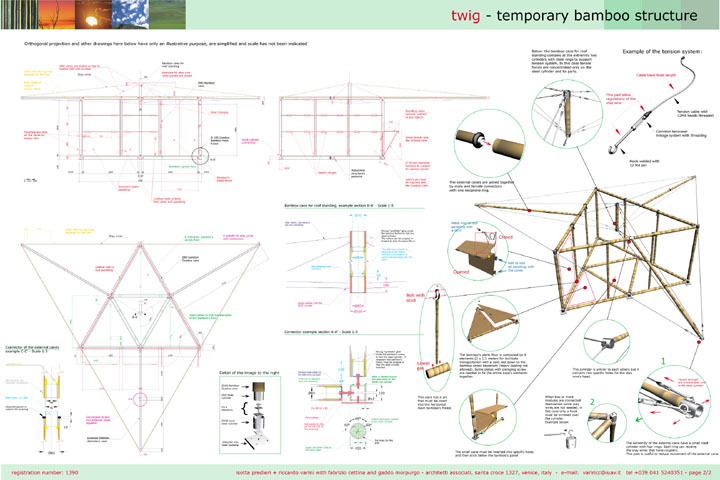 It is made of 12 Guadua angustifolia poles held together by steel elements (all of which are easily obtained in local hardware stores). The roof cover is made of Ingeo, an ecological and biodegradable fabric made from corn.